Photo : An armed police officer watches as a man is taken by ambulance staff from a mosque in central Christchurch, New Zealand, Friday, March 15, 2019. 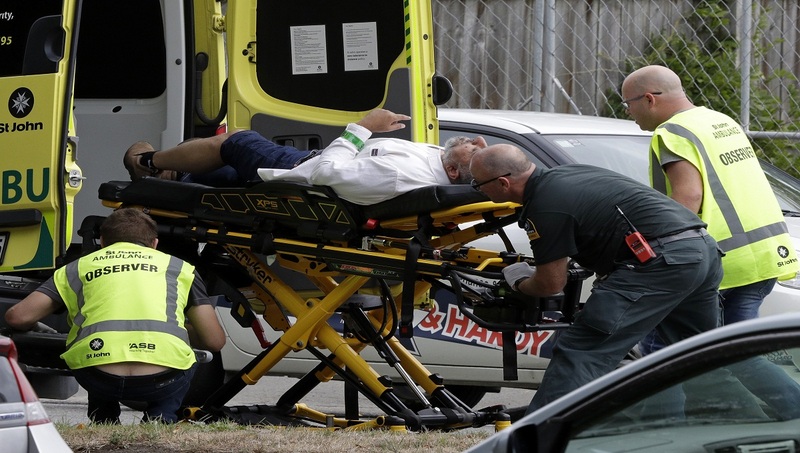 Multiple people were killed in mass shootings at two mosques full of people attending Friday prayers, as New Zealand police warned people to stay indoors as they tried to determine if more than one gunman was involved. Dhaka, Mar 22 : Dr Abdus Samad, who was killed in the March 15 terrorist attack on a Christchurch mosque, was laid to rest in New Zealand on Friday.